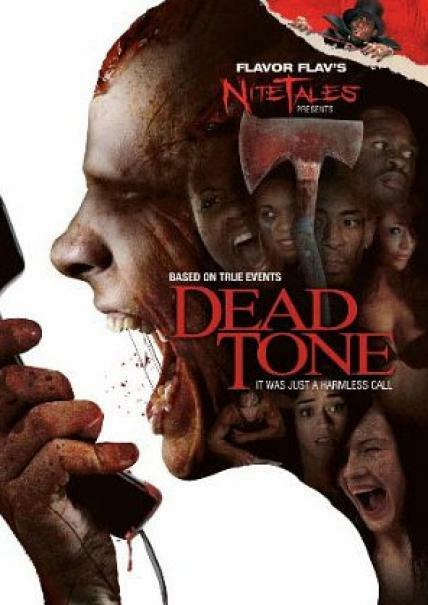 DEAD TONE is definitely a cool movie but for some strange reason had the endorsement of Flava Flav. The movie has some cool and fun moments that quickly turn dark and bloody, just right for the horror fans. Based on a true story, a couple of harmless prank phone calls turns into a nightmare when a group of college friends dial a mad man. The group becomes trapped in a horrifying game of survival against a monster hell-bent on killing more than their night of partying. Once the phone line goes dead, its too late to escape the fun and games this maniac has in mind.